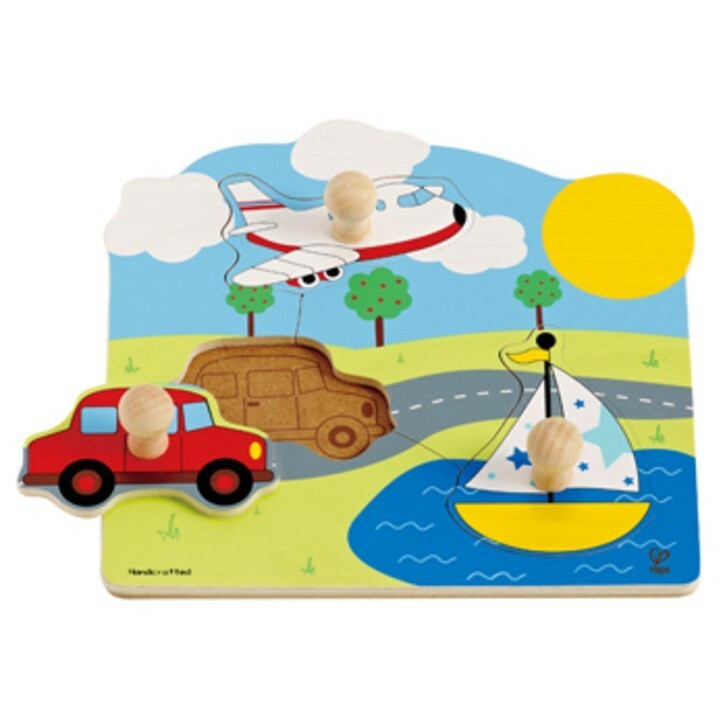 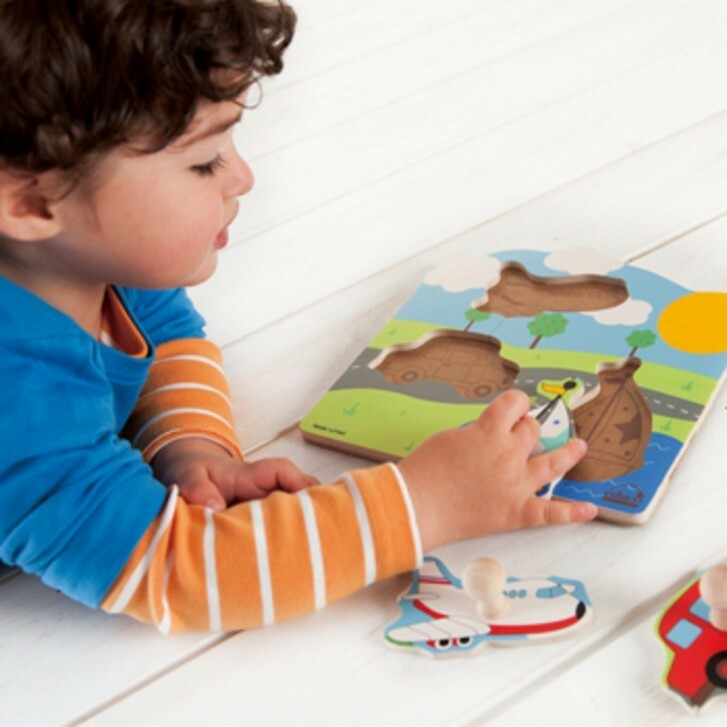 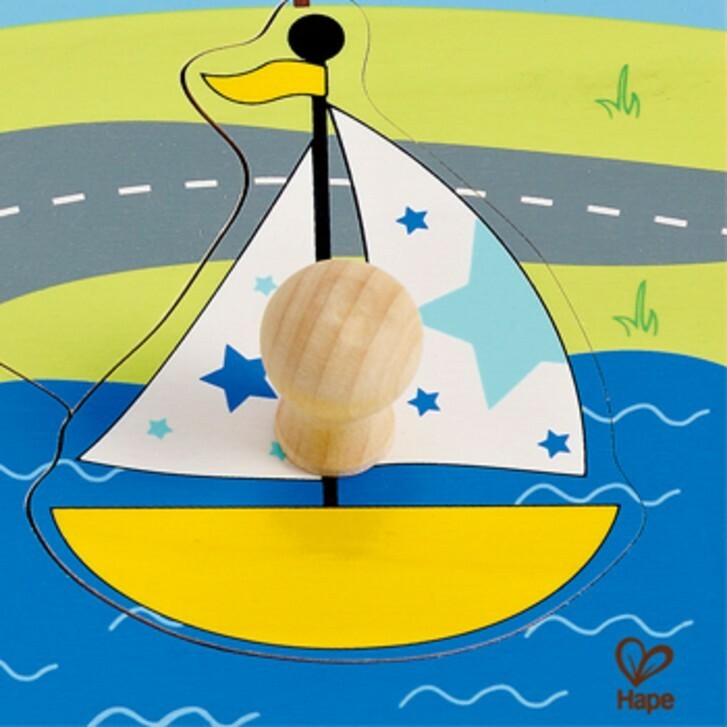 Car, plane and sailboat are ready to find their home on the wooden puzzle board of this Away We Go Puzzle. 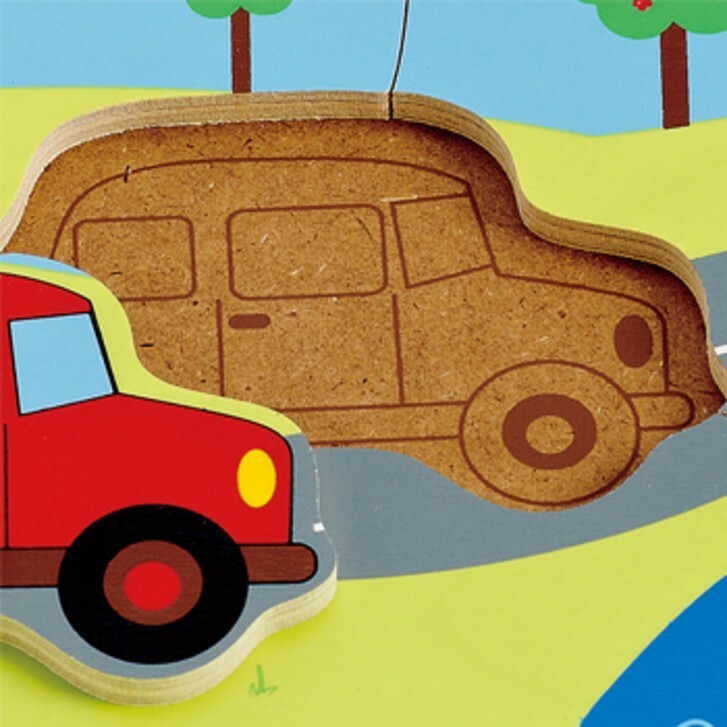 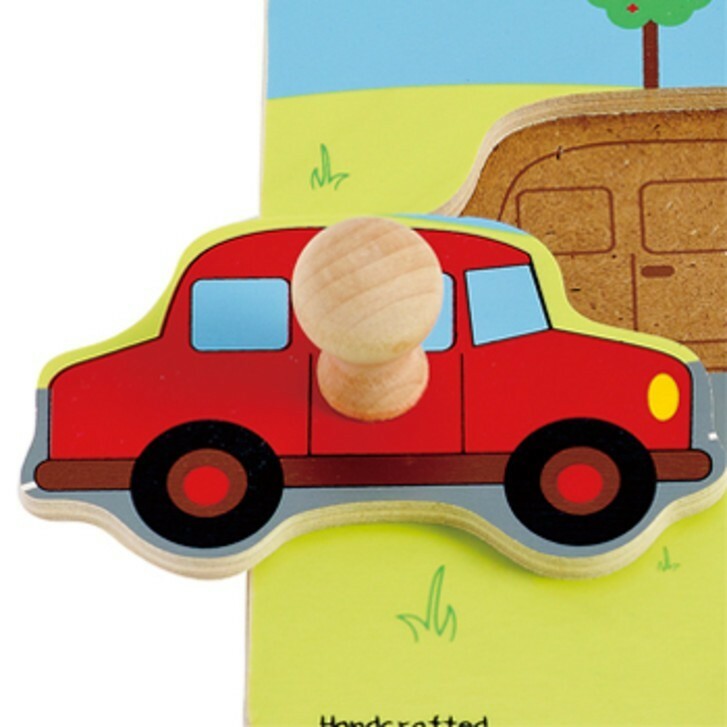 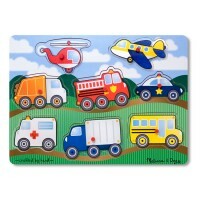 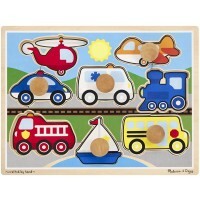 Hape comes up with another great puzzle idea - Away We Go Vehicles Knob Puzzle. 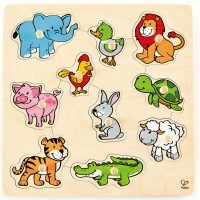 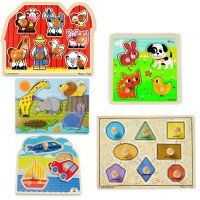 This first puzzle features vivid colors, tot friendly illustrations, quality materials, and developmental play value. 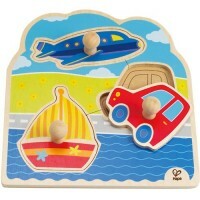 The vehicle puzzle has 3 familiar means of transportation: a car, a sailboat, and a plane. 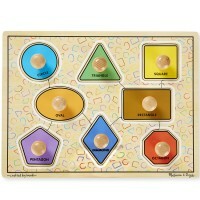 Each puzzle piece comes with a polished wood chubby knob to ease grasping for the little hands. 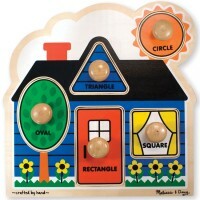 Educational Toys Planet recommends this toddler puzzle for your home or daycare center toy collection. Away We Go Vehicles Knob Puzzle complies with all US toy safety regulation. 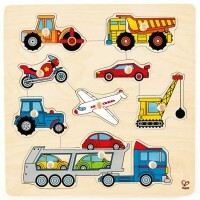 Dimensions of package 8.1" x 8.82" x 1.5"
Write your own review of Vehicles Knob Puzzle Away We Go.